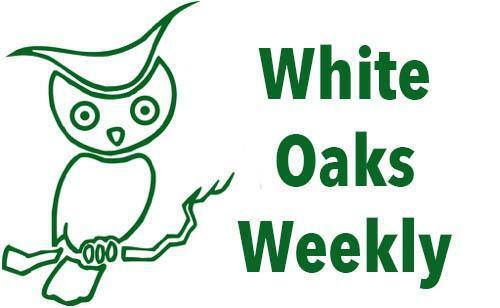 White Oaks is taking part in helping support our friends affected by the Camp Fires in Paradise, CA. Kids for Peace, home to the Great Kindness Challenge, is collecting kind notes as well as gift cards (Visa, Mastercard, Target, Walmart, Amazon or Home Depot are preferred). We will be sending a card of kindness on behalf of our whole school and we welcome you to donate gift cards during the next few weeks (deadline is December 17th). There will be a box in the office to drop off your gift card donations. Thank you for your kindness! Your children are learning social and emotional skills through regular classroom lessons and reinforcement throughout the school day. Currently, all of our students are learning tocalm down and talk-it-out. Disagreements, misunderstandings and other problems often lead to big emotions. In order to manage these strong emotions and be effective problem solvers, your children are learning to calm down before attempting to talk-it-out. Here are the calm down steps we are practicing at school. Angry, mad, frustrated, infuriated, annoyed, embarrassed, etc. You may hear your child sing the Calm It Down Song that is part of the Second Step curriculum that we using at White Oaks. You can check out the Calm It Down dance video as well. Talking about and practicing these steps at home will help your child master managing big emotions. We are happy to announce that our new playground has been approved by our PTA and the school district. We are so grateful for the incredible feedback from our parent community and wonderful teachers who helped design our fun, challenging, and safe play structure. We can’t wait to show you the final design! Paint a tile and leave a legacy that will beautify our school while raising money for our new White Oaks playground! In an effort to raise the remaining $25,000 needed to fund the project, the PTA will be selling art tiles for a permanent art installation on campus. We are selling family tiles and sponsored teacher tiles. Sponsored tiles will be painted by one of our amazing White Oaks staff members. Our new playground will be revealed at the Holiday Store on December 8th at 9:30 am. We look forward to seeing you there! The HOLIDAY STORE is NEXT WEEKEND!! The second project party is coming up THIS WEEK. Sign up for a slot at the party, and for all of the other volunteer opportunities here: http://signup.com/go/RswTekJ. Also - all projects are now PAST DUE so please drop them off at the PTA parent workroom (accessed through the front office) ASAP. For questions please contact Kirsten Kell (k@kkmft.com). Throughout the months of October/November, White Oaks’ Legarza PE coaches will cover Unit 2: Throwing and Catching. Reminder that it’s Walk to School Wednesday on December 5, 2018. We will be at school to pass out charms to our walkers, scooters and bikers. Look for the balloons to find your charm. Holiday Shopping is Just Around the Corner! AmazonSmile is a simple and automatic way for you to support White Oaks PTA every time you shop. Use the link smile.amazon.com and Amazon will donate a portion of your purchase to our school. Create a bookmark and make it easy to remember. If you use chrome, clink on this link to activate a redirect that will automatically take you to smile.amazon.com whenever you type amazon.com. You'll never miss an opportunity to earn money for our school. SCSD PTA Coordinating Council is funding a special presentation of My Digital Tat2 with Gloria Moskowitz-Sweet PPSC, LCSW. Gloria was a university lecturer for 20 years and has over 30 years of experience as a school social worker, specializing in the social-emotional well being of children and teens. My Digital TAT2 has worked with over 20,000 Bay Area students, parents, and educators, facilitating discussions about the role of social media in their lives. Please take a few moments to complete a short survey about the SMART-E extended day (before and after school care) and enrichment programs. SCSD is interested in the perspectives of all families, regardless of whether or not the family has participated in either of the programs. Please complete the survey by Monday, December 3rd at midnight. Results from the survey will be shared at the SMART-E Parent Engagement Night, which will be held on Wednesday, December 5, 7:00 - 8:30 PM, in the Heather School MUR. We are starting to check files to submit reports to comply with California State Laws. We would like to send out a reminder to families with students in TK - 1st Grade, to get a couple of forms turned in, as soon as possible. You can find these forms on the district website under the Parent Resources tab or click on the links above. California law requires a health assessment 18 months before or up to 90 days after enrolling in first grade (for TK/K students, we are trying to give ample notice to have them in by start of 1st grade). If your student has had a physical within the last year, and you have turned that in already, you do not need to submit another one. If you are unsure whether you have turned it in or not, please see the Secretary at the front office, and she will have a list we have complied that she can reference. Thank you so much for your compliance with this! Please take 5 minutes to complete the linked survey. Your feedback allows us to adjust Safe Routes to School (SRTS) education and encouragement program features to best meet the needs of each individual school. Results will also be shared with decision makers throughout the county who can address infrastructure issues regarding safe walking and biking. Buy your Christmas tree and wreath at Honey Bear Trees and SCEF will receive 15% of your purchase price! Bring a copy of the flyer to take advantage of this offer. Tree lot locations and flyer can be found at: www.scefkids.org/hbt. As we enter the last weeks of 2018, we invite you to consider making your SCEF Annual Fund donation earlier than usual. Take advantage of possible 2018 tax deductions by making a gift of cash or stock to SCEF before December 31st. As our district faces challenging budget issues, SCEF would like to be able to provide a good estimate of our grant to Superintendent Harmeier and her team by March 30, 2019. Donate now at:www.scefkids.org/donate. Many employers will match your gift to SCEF. Our handy Double the Donation tool will help you determine if your company has a matching program. Go towww.scefkids.org/donate to learn more. A gift of appreciated stock you've held for more than a year is better than giving cash. If you donate stock that has increased in value since you've owned it - and if you itemize deductions - you can take a charitable deduction for the stock's fair market value on the day you give it away. You'll also avoid capital gains taxes on the increase in value over time. Go to www.scefkids.org/stock to learn how. Interested in playing softball this spring? San Carlos Youth Softball is a great way for girls to have some fun, develop skills and build friendships. We have extended the early bird discount for the 2019 spring rec program registration. Click here to register online. Our program is for girls ages 4-14 (as of January 2019) at all skill levels. Teams are formed in January so please sign up soon! Early bird prices end Dec 15, 2018. Questions? More information online at www.sancarlosyouthsoftball.com or email Terry Woodsome. San Carlos Little League Registration - NOW OPEN! Planning on playing baseball this spring? San Carlos Little League registration is now open for all divisions at www.sancarlosll.org. Registration for T-Ball through AAA players will remain open until December 21.